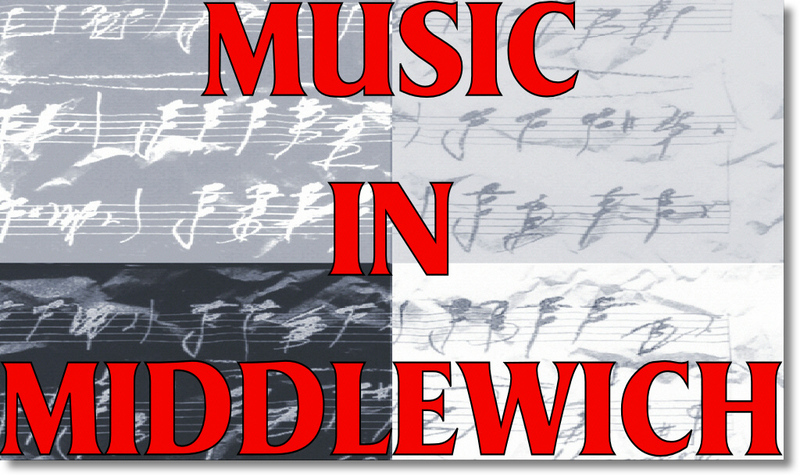 THE MIDDLEWICH DIARY: MIDDLEWICH ROCK 'N' ROLL IS HERE TO STAY! 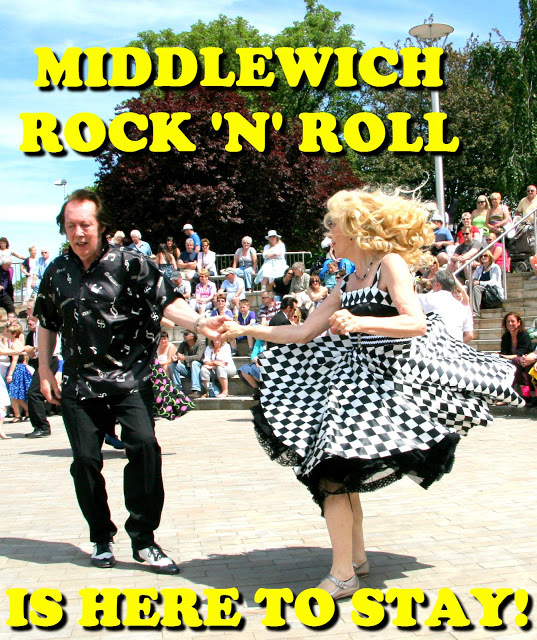 KEEP AN EYE ON THE MIDDLEWICH DIARY THROUGHOUT 2019 AS WE BRING YOU DETAILS OF ALL MIDDLEWICH ROCK & ROLL EVENTS! Hi to everyone! It is with great regret that we have to announce that Derek and Julie are to retire from Middlewich Rock & Roll. We would like to take this opportunity to thank them both for their hard work and dedication over the last twenty one years. Without them Middlewich Rock & Roll would not be what it is today, and we would not have been able to carry on over the last few years either. We can assure you we will do our utmost to keep things going at Middlewich Rock & Roll with everyone's support. Once again a massive Thank You to them both for all they have done !!!!! 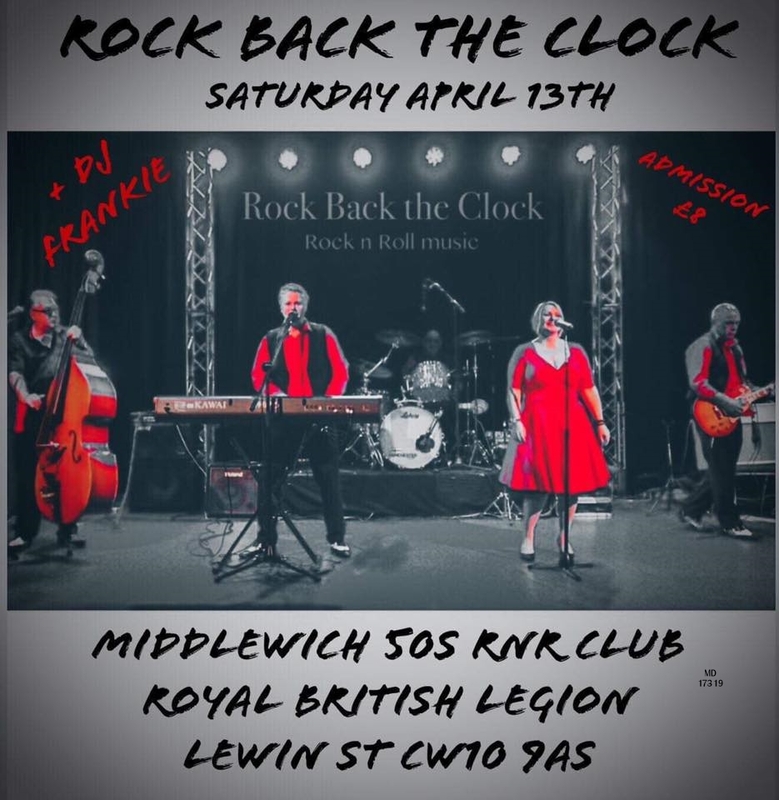 We started Middlewich Rock'n'Roll twenty years ago at the Middlewich Royal British Legion Club and from a small difficult beginning it developed into an accepted venue on the Rock'n'Roll circuit. All profits were donated to the Royal British Legion Poppy Appeal. Seven years ago however, due to work commitments out of Middlewich, we had to hand over running of Middlewich Rock 'n' Roll to our then resident disc jockey Jivin' Jim Kiley, who has been running the events ever since. Jim recently made the decision to move on. We therefore decided to take back the running of Middlewich Rock'n'Roll as from January 2016, with the help of a small team of dedicated volunteers and sponsors and using the same successful format which has served us well over the last twenty years. We have an excellent live Rock'n'Roll Band and great disco each month and there is also frequently a 1950's gear stall where you can buy everything from 1950s dresses for the ladies to crepes and drapes for the gents. booked for our first gig twenty years ago. JBJ was supported by one of Stoke-on-Trent's best disc jockeys, Cadillac Dave. We're proud to be continuing the tradition of donating any profits to the Poppy Appeal.